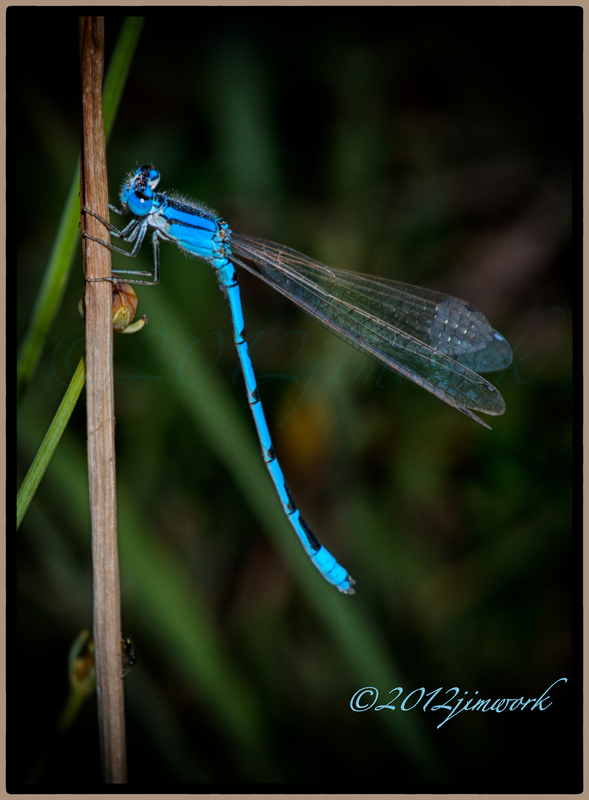 Damselflies and dragonflies were flying 300 million years ago! Today there are approximately 5,300 known species in the world. Their front and back wings move separately so they can stop and change direction in mid air as well as flying at speeds of up to 30 miles an hour. They have huge eyes; each made up of thousands of tiny eyes packed together. They are capable of detecting movement up to 15m away. They are very successful hunters with bristly front legs to catch their victims and large mouth parts to crunch them up. The insect order they belong to is known as Odonata which means ‘toothed jaw’. Although, the Damselfly is talented enough to tuck their wings onto their back, they are not skilled enough to be able to walk. That’s right, this particular insect has no problem landing but they are incapable of walking due to the position of their legs. In reality though, why would you walk when you can fly? If I had wings, I wouldn’t even bother landing! Great picture and word. Thank you. That’s interesting, that they can’t walk. I never knew that! (You learn something new everyday, right?) And I’m with you, if I could fly, I wouldn’t even worry about walking! 🙂 Beautiful close up, as usual!